A building under-construction collapsed in Karnataka’s Dharwad on Tuesday causing the death of 2 and more than 40 are still believed to be trapped in the site. The multi-storied building was under-construction and most of the people thus got affected are the construction labourers.The site is located about 400 km away from Bengaluru. “Two people have died while some 30 to 40 people were trapped,” said a police officer at Dharwad police station. Rescuers have pulled out 28 people from the rubble, police said, adding, the injured have been hospitalised. Karnataka CM H.D Kumaraswamy expressed shock on the incident in Twitter. 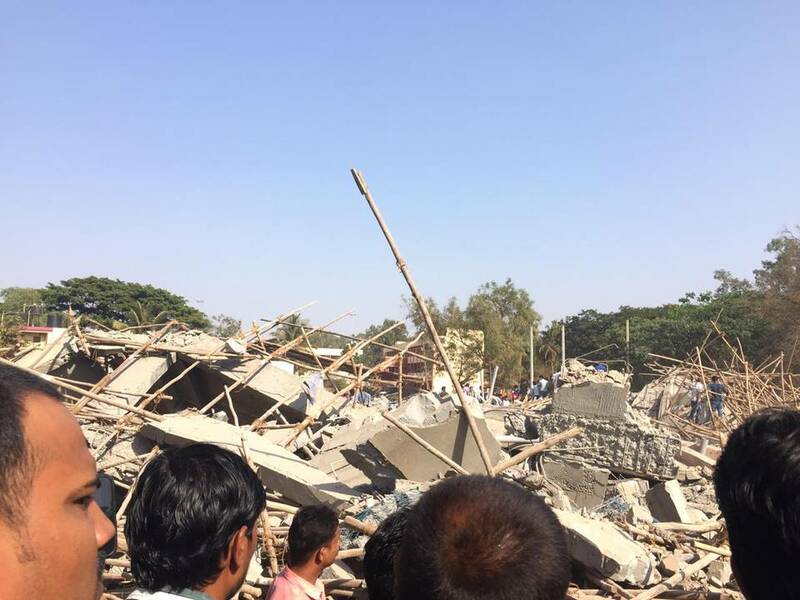 “Shocked to learn about the collapse of an under-construction building in Dharwad. I have instructed the Chief Secretary to supervise rescue operations. I have also directed the CS to send additional resources and expert rescuers by a special flight to Dharwad,” he tweeted.